On Sunday morning a PG resident made a gruesome discovery on the beach. She spotted vultures circling and when she investigated found a badly decomposed body washed up on shore. Following an on-site post-mortem examination PG Police have ruled that B.D.F. 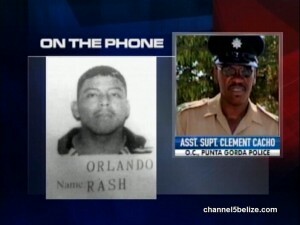 soldier Orlando Rash, reported missing on Friday, was murdered. Today, Officer Commanding Punta Gorda, Assistant Superintendent Clement Cacho today appealed to the community to assist them with any information which could guide their investigation.